Too busy to catch up on our news? 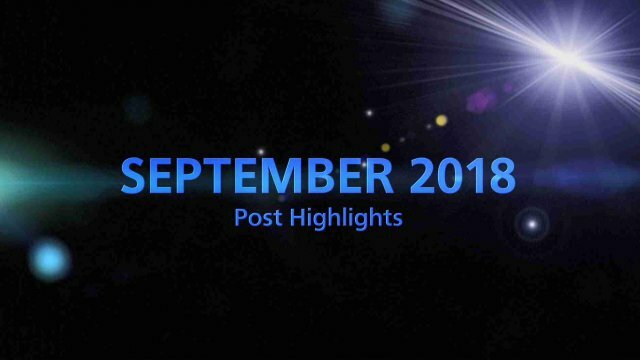 Here are the TOP 5 most engaged posts for September 2018. No. 1 - Game of Thrones Season 7 premiere party brought to life. No. 3 - Stunning footage taken using the smallest 4K Ultra HD camera. No. 4 - Panasonic Prime Smash! No. 5 - LUMIX was a headline sponsor of the Raindance Film Festival. No. 1 - Panasonic projectors bring Game of Thrones premiere party to life. The Game of Thrones season 7 premiere party was held at the Frank Gehry-designed Walt Disney Concert Hall, which had Game of Thrones-themed projection "painted" onto the façade by projection designer Bart Kresa using Panasonic projectors and with engineering support from WorldStage. Panasonic Corporation and PIA Corporation have launched efforts to enhance the user experience for sports, entertainment, etc., by means of electronic ticketing for a wide variety of services at stadiums and arenas. Recording reptiles at the Hounslow Urban Farm with the GP-UH532 4K micro camera system in London, UK. Discover the superb imaging abilities of the GP-UH532, allowing natural filmmaking in narrow and tight environments. The 4K Ultra HD camera head incorporates a resolution of up to 1,600 TV lines and is the smallest on the market. Thanks to the small size of the camera head and the different camera cable lengths, the GP-UH532 camera system enables easy implementation in a variety of applications. Panasonic Corporation gave the iPad app "Panasonic Prime Smash!" a complete makeover. The new release includes the iOS 11 compatible iPhone app as well. "Panasonic Prime Smash!" is a game app that teaches children about the atom of numbers, or prime numbers in a fun, enjoyable way. LUMIX was a headline sponsor of the Raindance Film Festival. Celebrating and promoting independent filmmaking in the UK and around the world, a number of LUMIX activities took place during the course of Raindance.